Happy Election Day Everyone! Today is a big day! First, and most importantly, I voted. Now I’m putting on my painting duds and preparing to repaint the front door! 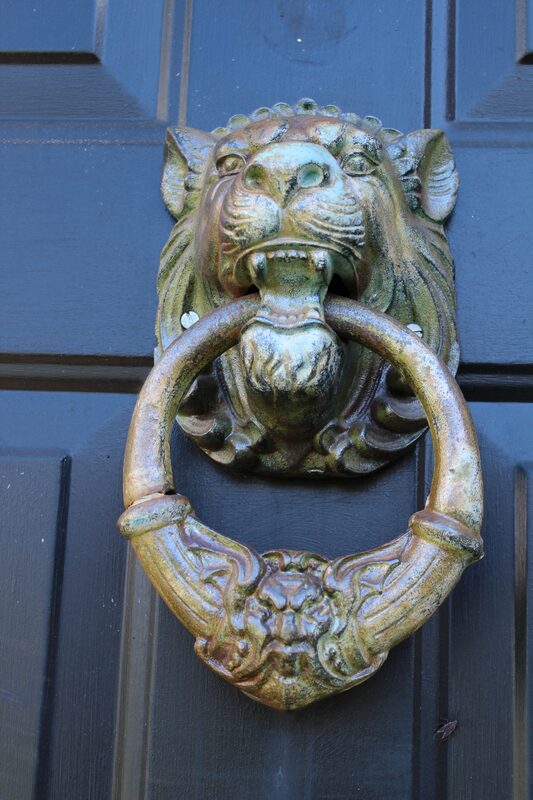 I love this door knocker. (I have a thing for lions.) I bought it years ago and it originally had a verdigris finish and that has aged as well. I’m thinking a coat of shiny gold will make his handsome face really pop. Photo bomb by a random bug. I’ve taken all of the hardware off of the door and it’s all ready to paint. I hope it looks good and I’m able to get it all back in place before dark. Wish me luck! Hope you have a great day. God Bless America!